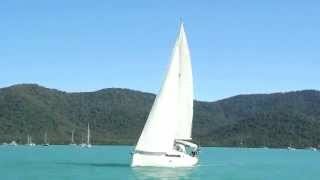 The Whitsunday Islands are one of the best sailing destinations in the world. 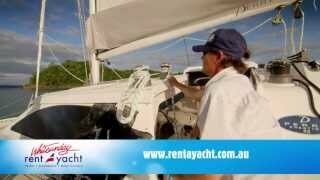 Whitsunday Rent A Yacht has provided skipper-yourself bareboat charters in the Whitsundays for over 30 years. They have a fleet of fully equipped yachts, catamarans and motor cruisers available for charter to explore the 74 Whitsunday Islands. Located on a private jetty at Shute Harbour, their charter vessels provide safe and easy access to the Whitsunday islands. Stay entertained whilst on charter by swimming, snorkelling, fishing or bushwalking on one of the many islands. Or enjoy a cocktail and massage at a luxury island resort. Anchor up for the evening at a secluded anchorage and be the only vessel in sight. A charter holiday provides access to it all. No boat licence required. This 40 foot version of the popular Lagoon catamaran range is a spacious vessel with comfortable accommodation for eight people. Two additional berths in the saloon, suitable for children, permits this catamaran to accommodate 10 people maximum. The outdoor living area in the cockpit is perfect for enjoying the Whitsunday vistas. A fully equipped galley, four bathrooms, all the modern equipment and accessories, this is the perfect charter vessel for those who want space, comfort and a little bit of luxury. Set sail on your Whitsunday charter adventure with this fabulous vessel and make memories to last a lifetime. Snorkeling, sailing, swimming, fishing, bushwalking, kayaking, beach combing, enjoying a good book or an afternoon snooze on the deck with the wind in your hair - these are all the things a charter holiday provides access to, these and much more! This 40 foot version of the popular Lagoon catamaran range is a spacious vessel with comfortable accommodation for six people. Two additional berths in the saloon, suitable for children, permits this catamaran to accommodate eight people maximum. This 38 foot version of the popular Lagoon catamaran range is a spacious vessel with comfortable accommodation for eight people. Easy to handle with all the sail controls meeting at the helm station, this Lagoon sails like a dream for both the novice and more experience sailors alike. The outdoor living area in the cockpit is perfect for enjoying the Whitsunday vistas. A fully equipped galley, two bathrooms, all the modern equipment and accessories, this is the perfect charter vessel for those who want space, comfort and a little bit of luxury. This 38 foot version of the world renown Leopard Catamaran range is a spacious vessel with four well appointed double cabins. Easy to handle with all the sail controls meeting at the helm station, this Leopard sails like a dream for both the novice and more experienced sailors alike. The cockpit living area is designed for maximum comfort, with the raised helm station being perfectly placed for the crew to interact with the skipper whilst underway. New to the fleet, this is a very popular vessel for novices and groups of family and friends. A fully equipped galley, two bathrooms, all the modern equipment and accessories, this is the perfect charter vessel for those who want space, comfort and practicality. Set sail on your Whitsunday charter adventure with this fabulous vessel and make memories to last a lifetime. Snorkelling, sailing, swimming, fishing, bushwalking, kayaking, beach combing, enjoying a good book or an afternoon snooze on the deck with the wind in your hair - these are all the things a charter holiday provides access to, these and much more! 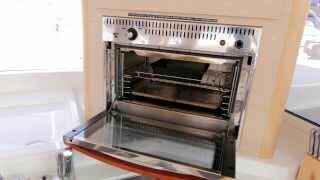 This well designed 43 foot catamaran has four double cabins which sleep eight people in comfort. The saloon table drops down to also form another double suitable for children, so 10 people in total can be accommodated onboard. Being one of the newer model Perry Catamarans, the sleek wooden interior and modern accessories make this the charter vessel of choice for the discerning customer. A fully equipped galley, comfortable cabins, three bathrooms this vessel provides a style of accommodation which would make any customer satisfied. This award winning designed cruising catamaran is a popular choice with all demographics. The spacious cockpit area, with twin helm steering, rear mounted barbecue, cushioned transom seating and expansive tri-fold doors leading to the saloon provide a great transition between indoor and outdoor living. The three large double cabins, with two bathrooms provide excellent onboard accommodation for six passengers. An additional two bunks on the lounge are perfect for children, making the maximum capacity eight passengers. The fully equipped galley with sleek benchtops and ample refrigeration make this the perfect vessel for entertaining with family and friends. Set sail on your Whitsunday charter adventure with this fabulous catamaran and make memories to last a lifetime. Snorkelling, sailing, swimming, fishing, bushwalking, kayaking, beach combing, enjoying a good book or an afternoon snooze on the deck with the wind in your hair - these are all the things a charter holiday provides access to, these and much more! This classic Beneteau has been a charter favourite for many years. With its comfortable and practical fit out, this yacht is perfect for a family or a group of friends who love sailing. With four double cabins, this yacht accommodate eight guests comfortably. The spacious foredeck is a well designed and comfortable place to relax with a glass of something and a platter, take in the vista and enjoy the company of your crew. The saloon has a generous lounge suite which seats eight people for dining and perfect for an afternoon snooze after a snorkel or swim. A trusted favourite of the Australian charter industry, Beneteau yachts are built with practicality and comfort in mind. Set sail on your Whitsunday charter adventure with this fabulous yacht and make memories to last a lifetime. Snorkelling, sailing, swimming, fishing, bushwalking, kayaking, beach combing, enjoying a good book or an afternoon snooze on the deck with the wind in your hair - these are all the things a charter holiday provides access to, these and much more! This motor catamaran was built for charter and the perfect vessel to accommodate large groups of families. With comfortable accommodation for eight guests, there are an additional two singles bunks in the forward double cabins and the lounge will drop into a double if required - suitable only for children, making the surveyed maximum capacity 12 passengers. The stand out features of this motor cruiser are the expansive foredeck complete with salt water spa, the spacious fly-bridge helm station with all weather clears and cushioned seating to enable the crew to enjoy the Whitsunday vistas whilst underway. With a full equipped galley, large dining table and onboard barbecue, entertaining will be a breeze on this fabulous charter vessel. 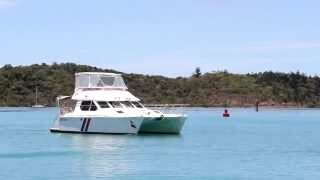 Cruise away on your Whitsunday charter adventure with this fabulous catamaran and make memories to last a lifetime. Snorkelling, sailing, swimming, fishing, bushwalking, kayaking, beach combing, enjoying a good book or an afternoon snooze on the deck with the wind in your hair - these are all the things a charter holiday provides access to, these and much more! This sleek motor cruiser is the perfect vessel for first time bareboaters. The vessel is controlled from a comfortable fly-bridge giving the skipper an excellent vantage point from which to handle the vessel. The fly-bridge also has an oversized sun bed, which is perfect for the remaining crew to relax on whilst enjoying the Whitsunday vistas. With three double cabins and one bathroom, the accommodation on board is perfect for two couples or a family. This Fontaine Pujot motor catamaran has a modern and comfortable fit out, with fully equipped galley, comfortable saloon and good sized bedrooms. Cruising as a leisurely 10 knots this catamaran is both very stable underway, making it the perfect charter boat for both novice and expert boaties alike. 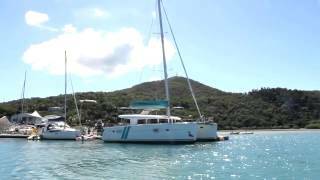 The Venturer 38 is a charter motor catamaran perfect for the budget conscious, novices and those groups who just want to get out on the water and experience the Whitsundays. It accommodates six passengers in comfort, in two double cabins and two smaller double cabins - which are suitable for one adult or two children sharing. Maximum capacity onboard is eight passengers. This classic motor cruiser is easy to handle and operate with simple equipment and onboard systems. The spacious back deck is perfect for relaxing with a cold drink and catching up with the crew at the end of another perfect Whitsunday day. The fully equipped galley, bathroom with hot and cold shower and dinghy and outboard provide all the additional extras required for your dream holiday. This classically designed sailing yacht is a perfect example of the Bavaria yachts styling and finish. The rich mahogany fit out gives an air of elegance whilst the comfortable cabins and saloon area make this the dream sailing vessel for large groups and experience sailors. With three double cabins and a twin cabin with bunks, this yacht can accommodate eight passengers in comfort with two additional berths available in the saloon for children. The vessel comes with a fully equipped galley, two bathrooms with hot and cold showers and a large cockpit area for relaxing under the Whitsunday sky. With twin helm steering, slab reefing mainsail and self furling headsail this yacht is a dream to handle for any sailor. 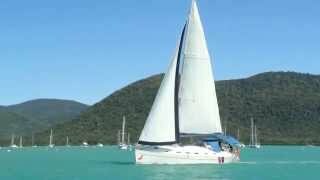 Sail away on your Whitsunday charter adventure with this fabulous catamaran and make memories to last a lifetime. Snorkelling, sailing, swimming, fishing, bushwalking, kayaking, beach combing, enjoying a good book or an afternoon snooze on the deck with the wind in your hair - these are all the things a charter holiday provides access to, these and much more! This Beneteau yacht is in the Oceanis range and has fast become charter favourite amongst the fleet. With its comfortable and practical fit out, this yacht is perfect for a couple or small family who love sailing and want to charter a vessel which is easy to handle and comfortably designed. With two well appointed double cabins, this vessel can accommodate four in style. The spacious cockpit is a well designed and the perfect place to relax with a cool drink and a plate of nibblies whilst enjoying that Whitsunday sunset. The saloon has an adequate lounge suite which seats four people for dining and perfect for an afternoon snooze after a snorkel or swim. A trusted favourite of the Australian charter industry, Beneteau yachts are built with practicality and comfort in mind. Set sail on your Whitsunday charter adventure with this fabulous yacht and make memories to last a lifetime. Snorkelling, sailing, swimming, fishing, bushwalking, kayaking, beach combing, enjoying a good book or an afternoon snooze on the deck with the wind in your hair - these are all the things a charter holiday provides access to, these and much more! This classic Jeanneau yacht is the perfect sized vessel for small group or couple looking to embark on a sailing holiday in the Whitsundays. With two well appointed double cabins and a fully equipped galley this is a home-away-from-home. All linen provided, just pack your beach towel and a sense of adventure. With great handling capabilities and a single helm, this vessel is the perfect choice for both experienced and novice sailors. Slab reefing mainsail and self furling headsail are standard on all our vessels, as well as electric anchor winch and dinghy with outboard motor. This classic Jeanneau yacht is the perfect sized vessel for small group or couple looking to embark on a sailing holiday in the Whitsundays. With three well appointed double cabins and a fully equipped galley this is a home-away-from-home. All linen provided, just pack your beach towel and a sense of adventure. This vessel accommodates six people in comfort.